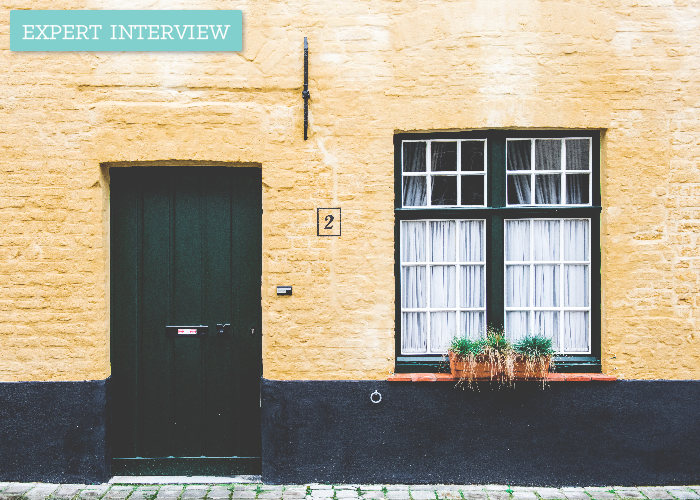 Today’s installment of our Afraid To Ask: TFD’s new expert interview series, is all about how to navigate questions you have about buying a home. The Afraid To Ask series is meant to provide a deeper insight into a variety of subjects, and shed light on topics people are sometimes ignorant about (myself included in every topic I cover!). This week I sat down (via the internet of course) with a friend, Erica Sinchak, a mortgage lender at The Federal Savings Bank. She handles home purchases and refinances in all 50 states. She has picked up invaluable knowledge about this area of expertise and she’s sharing some great insight into details about buying a home and securing a mortgage! Erica was kind enough to answer the questions that follow. While this interview is not exhaustive, it’s a fantastic way to learn more about what buying a home looks like, what you need in order to do it, and why it’s beneficial to your financial future. Check it out! Let’s start with the basics! Would you say there is an ideal age/time for buying a home? There is no “right time” that is going to make sense for everyone across the board. Owning real estate is not to be taken lightly, and one should always consider several factors prior to buying a home. My husband and I bought a home the year we got married, when I was 22, and it has proven to be an excellent decision for us. However, only you know if you are ready to buy a home, and there are questions you can ask yourself to guide that decision: “Do I have stable income.” You’re considered stable if you have a solid 2+ years of employment or freelancing with no hiccup in sight. “Do I see myself living in this city/area for the foreseeable future?” If you think you’ll pack up and move within five years, home buying is probably not for you. “Do I have the patience, time and resources to maintain a home?” This is huge. No more calling up your landlord when you have a leaky faucet or when your dryer breaks. You can either fix issues yourself or pay someone to fix them, but either way, you need to be financially and mentally prepared. “Do I demonstrate financial responsibility?” If you find yourself forced to use a credit card, this is a symptom of a greater sickness. Your credit score is also a good indicator of this. If you aren’t able to answer yes to these questions, it’s okay! Homeownership is something to work toward. Think of it as having children; it’s a big step and not something you want to rush into or do just because your friends are doing it. Who is the one loaning me money if I want to apply for a home mortgage? What kinds of strings does that money typically come with — interest rates? How much do these interest rates vary depending on what bank you select? This is a great question because interest rates in general are a big question mark in most people’s minds — millenials in particular. The internet is an excellent resource for information, a resource that our parents didn’t have when they bought their first homes, and it can definitely be used to our advantage. You can obtain a mortgage from different sources, like mortgage brokers (they facilitate the processing of the loan and act as an intermediary between individuals and the institution doing the lending), banks (they typically lend their own money and insure it with the large mortgage investors Fannie Mae and Freddie Mac), and credit unions (they typically keep a portfolio of loans funded with their own money.) Small to medium-sized institutions typically have the lowest interest rates. You should always shop around different lenders, not just for competitive interest rates for but for competitive closing costs as well. Many lenders offer a “teaser rate” to get clients in the door, but have abhorrently high fees. Let’s say I’m interested in buying a home for $300,000. How much percentage of that grand total do I have to put down? Do I have any options with how much money I put down at the start? Let’s assume you are not a United States veteran. The loan program with the lowest down payment requirement is the FHA loan program. You may give a 3.5% down payment, in this case, $10,500. However, this same home purchase would require you to pay an upfront fee that may be added on to the mortgage of 1.75% of the purchase price ($5,250) and an additional monthly mortgage insurance of ~$255. These costs are essentially a tradeoff of utilizing the FHA program. Many first time homebuyers utilize this program and enjoy the luxury of not digging too deeply into their pockets for their home purchase. Conventional loans allow you to put 5%, 10%, 15%, and 20%+ down. Again, there will be a monthly mortgage insurance added to your payment unless you put 20% down, although it is typically less than the FHA’s charge. I should note that VA loans do not require a down payment at all, and there is no monthly mortgage insurance to be paid. If you are eligible for a VA loan, you should absolutely use your VA entitlement, as these are the cheapest mortgages on the market. How many years does the typical mortgage last? Because interest rates are still at historic lows, mortgage money is some of the cheapest money you can borrow. For this reason, most consumers still lean toward the 30 year, fixed-rate mortgage, which is the longest term one can secure. There are also 15, 20, and 25 year loans that come with lower interest rates than 30 year loans. How does it work at the end of that time period? Is there one last payment you have at the end, sort of like the balance that is left to pay out, or has the house been completely paid for by then? At what point would an individual need to refinance? What does it mean to refinance? How different (if at all) is that process across different states? New York is a bit more complicated and considerably more expensive than most other states, so there are some differences there. The process doesn’t vary too much from state to state (you apply for the loan, provide documentation that the underwriter wants to see such as tax returns and paystubs, and sign closing documents with a notary or attorney) but costs definitely vary. New York is particularly expensive because they impose a real estate transfer tax, generally at a rate of $2 for each $500 borrowed. For example: Average closing costs to refinance a home in Colorado: $1,900 Average closing costs to refinance a home in New York: $7,200. What are some essential documents that someone would need to have/collect before thinking about applying for a home mortgage? Walking into a bank with these documents (and a decent credit score!) should result in you walking out with a loan pre-approval letter. In your opinion, is buying a home something everyone should aspire to? What are the benefits in it? I do! As I mentioned before, it is not something to rush into, but homeownership is very rewarding in more ways than one. Here are some of the best benefits of buying/owning a home. Savings: A mortgage is kind of like a mandatory savings plan. The more payments you make, the more equity you build in your home. Saving is saving, even if it’s forced! Tax Benefits: Homeowners can deduct mortgage interest, and oftentimes property taxes and closing costs, on their taxes. Owning a home makes tax time a whole lot happier! Better than renting: Would you rather make payments on your own home or your landlord’s home? Enough said. Having a home: It’s been said that people feel a true sense of “home” once they’re given the keys to their very own place. Erica Sinchak is a vice president at The Federal Savings Bank. Visit her on Facebook and LinkedIn.